Did you know that 'Happy Birthday' is copyright protected? Now what about the disclaimer which goes with copyrights? No public performance, copying, playing in movies, television programmes, or incorporating into musical products (read cards, watches...) allowed? So are we all gonna get sued? Also anyone who wants to make a hollywood movie can get inspired from this info. 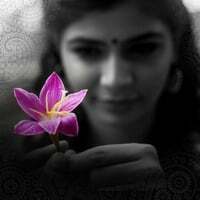 u r on a roll... i got so many mails today informing that singer chinmayi is blogging.. Welcome to the blogworld and do keep blogging regularly! Just saw your website and found out that you went to HSSS in Adyar. I went there and finished my 12th in 1994 (From your profile it looks like you should have finished your 10th somewhere in the late 90s). Since you are a singer, do you know Uma miss from HSSS? I swear to God that this is freaky. I stumbled on to this place and guess what song's playing in my headphones? Kannathil Muthamittal!! I'm really freaked out by the coincidence. Honestly, I can't say I'm a fan, but I enjoy music at times :d. Have fun blogging!